There’s no better time to get started than now and there’s no better agency to work with than Blennd. Fill out the form or email us at hello@blennd.com and we’ll get right back to you. What is website conversion rate? Website conversion rate is the process of driving user sessions on your domain to complete certain pre-defined goals or actions. It’s an important element of your conversion rate optimization strategy. Conversion rate optimization (CRO) is the systematic process of increasing the percentage of website visitors who take a desired action — be that filling out a form, becoming customers, or otherwise. Conversion rates are calculated by simply taking the number of conversions and dividing that by the number of [website visitors or] total ad clicks that can be tracked to a conversion during the same time period. A good example of how to calculate your conversion rate is if you had 100 conversions for a total of 500 clicks, then your conversion rate would be 20%, since 100 ÷ 500 = 20%. If your website visitors are bombarded with too much information at once, you’re more likely to lose them before they even recognize a call-to-action. Optimizing the layout of your website to focus on the main value proposition helps to increase your website conversion rate. Try limiting the amount of information that’s visible at once by nesting additional text content under accordions, tabs or slides. Does your main CTA drive users to fill out a form? How many clicks does it take to get them to the page where the form actually resides? Consider limiting the number of mouse clicks — or clickthrough — to one or two clicks total. User interface is a crucial factor when analyzing website conversion rates. If you’re wondering how to increase website conversion rates, include the value-adding “pitch” near the beginning of your landing pages. The most successful digital content marketing provides clear benefits to your intended audience. Create value propositions to help increase website conversion rate. Discounts, deals and specials are an excellent resource used to increase website conversion rates. The more exciting the promotion, the more likely users will engage with your brand. Hook your users with a catchy CTA communicating an incentive your audience simply can’t pass up. As you make updates to the content on your website, monitor how those changes affect your traffic. When configured properly, Google Analytics is a valuable resource for tracking conversions on your website. Heat-mapping tools can also provide useful insights into exactly how your users are interacting with your site’s visual elements and navigation links. Improving your brand’s credibility helps you increase your website conversion rate. Your public trustworthiness affects how your user perceives your business, products and services. Earn testimonials, product reviews and third-party citations so potential customers have no doubt your offering is sincere. Rich media elements have been shown to increase website conversion rates. 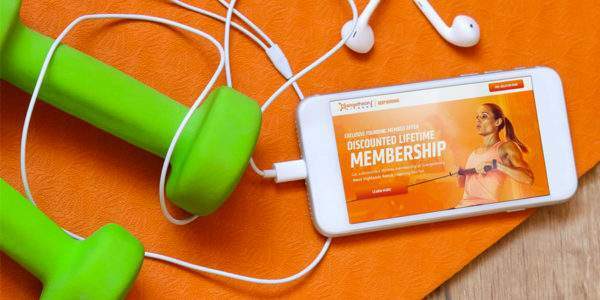 Relevant videos lend to a decreased bounce rate for your landing page. The longer users stay on your site, the more likely they are to complete your conversion goal(s). If you have multiple offerings on your site it’s a good idea to split these up into separate landing pages. Creating a landing page for each service category or product mix is an excellent method to increase website conversion rate and is a powerful SEO strategy. By implementing a chat feature on your website, users can easily get in touch with you without directly visiting your contact page. Chat messages lets potential customers ask questions about your brand, products or services. It’s an excellent opportunity to suggest a better item that fits the user’s specific needs. Developing a custom Facebook Messenger Bot is an emerging digital marketing strategy for increasing website conversion rates. You can create automatic responses to streamline your organization’s customer service. The best part is you’ll generate leads, sales and feedback without necessarily sending users to your website. While most marketers leverage display ads and paid search to increase website conversion rate(s), using Facebook website conversion ads is often an overlooked strategy. Enhance your marketing campaign with paid social, such as Facebook website conversion ads, and start converting more customers today! Have you considered how your mobile website conversion rates are influenced by responsive web design? Mobile website conversion is often overlooked by businesses when researching how best to increase website conversion rate(s). Half of your users are likely on smartphones or tablets making mobile website conversion just as important — if not more — than desktop website conversion optimization. Are you looking for results-driven website conversion optimization services? Enlisting a digital marketing agency to work on your campaign can do wonders for your website conversion rate. By leveraging the latest marketing trends, your business can gain the competitive advantage. We hope you’ll consider using Blennd’s industry-leading website conversion optimization services to boost your brand visibility and customer conversion rates. At Blennd, we leverage a wide-range of design, marketing and SEO services to increase your website conversion rate. We perform extensive keyword and topic research to create highly-effective organic marketing strategies; develop an intuitive user interface with user experience enhancements; build comprehensive digital marketing strategies to reach the right customers in the right places. Our Denver search engine optimization team is proud to have facilitated significant growth in organic traffic to each and every client we work with. Whether you already know how to do keyword research or you’re just learning about SEO for the first time, our team can provide you with the data you need to improve your website conversion rates. Work with us today! 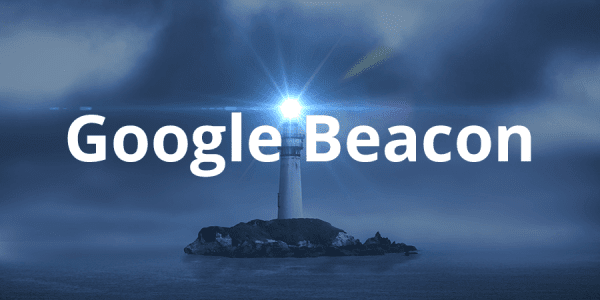 What is Google Beacon? This new technology is slowly transforming local search engine optimization and user data exchange. Click to view our findings. Let's Build Your Next Project Together.